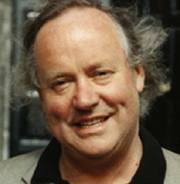 Brendan Kennelly was born in Ballylongford, Co. Kerry in 1936. He is the author of over twenty books of poetry as well as plays, novels and criticism. He was Professor of Modern Literature at Trinity College, Dublin for thirty years. Counting the rock band U2 amongst his friends and appearing in car adverts on Irish TV, Kennelly straddles both the public and private spheres in his unofficial role of “Ireland’s poetry confessor” (The Independent). In 2011, Wake Forest University Press published The Essential Brendan Kennelly: Selected Poems, edited and with an introduction by Terence Browne and Michael Longley, and including an audio CD of the poet reading his work.